Indianapolis is rich with history, and with both Presidents Day and Black History Month taking place in February, now is the perfect time to teach your kids about how the past has shaped our future. I know, I know…sometimes getting kids to do anything educational is like pulling teeth, but Indianapolis has a variety of museums and historical landmarks—with special programming targeted specifically for young, inquisitive minds—that the whole family can enjoy. Benjamin Harrison, the 23rd President of the United States—and the only president elected from the state of Indiana—built this downtown Indianapolis home with his wife in the late 1800s. The Site offers many hands-on educational programs, including the Future Presidents of America Youth Leadership Camp, Homeschool Days, and several kid-friendly events and exhibits throughout the year. There is no better time to visit the Madame Walker Theatre Center than during Black History Month. The Walker building was once the headquarters of Madam CJ Walker Hair Care and Beauty Products—as an activist, philanthropist, and entrepreneur, Madam Walker paved the way in the 20th century for African American women entrepreneurs like herself. This historic theatre has all sorts of kid-friendly programming, like their regularly scheduled Student Matinees and their youth performing arts program, Kamp Kuumba. As a national landmark and a fixture in the Indianapolis community, the Walker Theatre is not to be missed! The Indiana Historical Society believes history should be experienced, not just taught—and we couldn’t agree more! With innovative programs and immersive time travel experiences, this museum brings Indiana’s history to life for kids of all ages. Storytelling Arts of Indiana is also housed in the same building, and frequently collaborate with the Historical Society—be sure to check out their lineup of events! 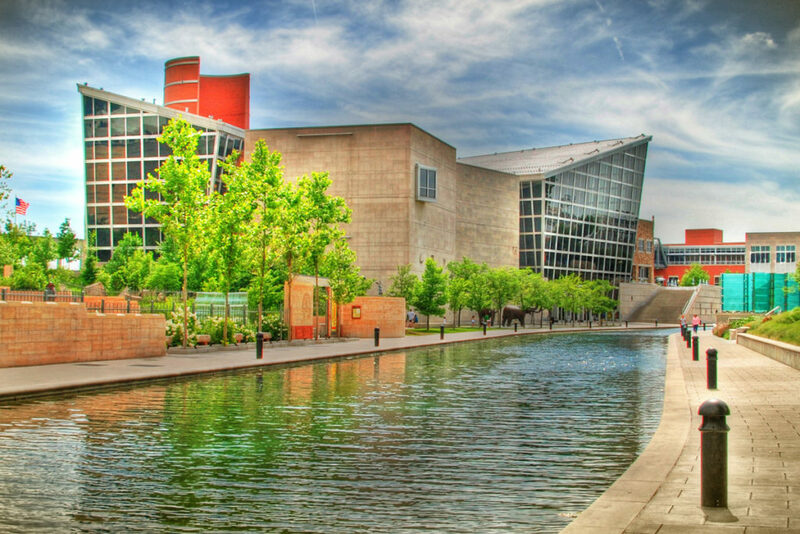 The Indiana State Museum is another great museum for delving into our local history through unique, hands-on experiences. With a year-round calendar of exciting exhibits that explore the history, art, science, and culture of our great state, there’s a little something for everyone. Indy really knows how to make learning fun. What are your favorite local historic sites?